A self-described refugee from the corporate world, Andy Bell was first a stockbroker and then a manager in the food and beverage industry for ten years before leaving to begin the Handyman Matters concept in 1998. 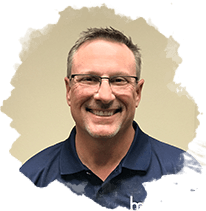 He continues to serve HMFC, leading a team dedicated to improving the image of the home repair and improvement industry, utilizing both innovative proprietary software and principles of conduct and ethics to create a better customer experience for every client. Andy is a staunch advocate for a healthy work and family life balance for everyone within the Handyman Matters franchise system, employees and owners alike. His own pursuits away from the office include jogging, fishing, throwing (creating) pottery, and spending time with his sons. Chris is our Chief Executive Officer. 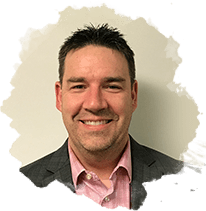 Chris' role is also known as the Integrator as his main focus is to coordinate the execution of key strategic initiatives across each department. 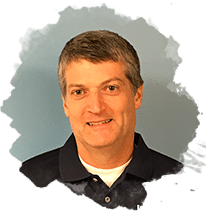 Chris brings nearly 20 years of operational experience to HMFC, with an emphasis on franchising that spans several different industries and concepts. Chris joined HMFC in the fall of 2014 and has been committed to supporting our operations to achieve maximum performance, both in revenues and profits. With the understanding that the culture of the company starts with the leadership, Chris has been instrumental in building a collaborative T.E.A.M. at the Support Center. Working side by side with Chad (CMO), together they have created sustainable and scalable Operations and Marketing force to push the company well into the future. During his personal time, Chris enjoys snowboarding, hiking, coaching sports and an occasional family vacation. Mark is one of the original co-founders of Handyman Matters who started with Andy in 1998. He started the proof of concept office in Boulder CO, growing that alongside Andy's Denver market, while helping to create the franchise concept. Today, Mark is active as Vice President of Handyman Matters and serves on the board of directors and management team. He has developed an amazing team and oversees the company owned franchise locations in the North Denver market. He is and has always been instrumental in the development and management of the proprietary WebScheduler product that the Handyman Matters system uses to run, manage and control their respective locations and sets Handyman Matters apart from our competitors. When not working, Mark enjoys family time and his two boys. Camping, fly-fishing, dirt biking and playing ice hockey. Chad heads the Marketing department, bringing over 20 years of experience across a variety of industries and channels. Focused on building and growing the Brand, Chad ensures all marketing, advertising and branding activities are on message and help educate millions of homeowners on the value and passion that our Franchise Owners provide. 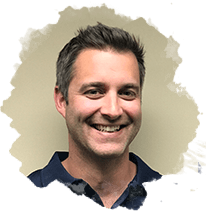 When not Marketing, Chad enjoys time with his family and is an avid hockey fan and player.